Roussanne is a white-wine grape originating in the Rhône Valley of France. 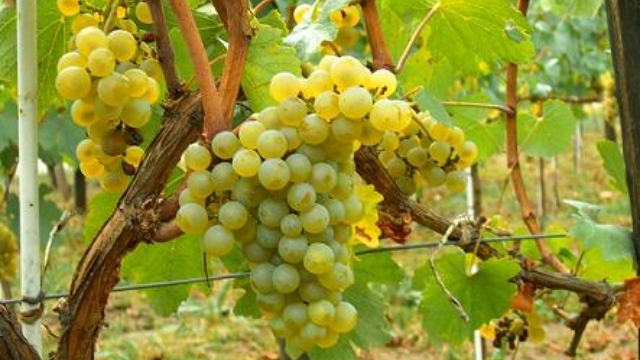 It is generally considered one of the dozen and a half or so of world-class white-wine grapes (those in boldface in the varietals lists near the top of the page). It is not commonly bottled as a monovarietal; rather, as is usual practice in the Old World, it is used in named regional blends, typically with Marsenne but also sometimes with Viognier. it is an important contributor to world-famed whites, such as those of Châteauneuf-du-Pape, and is often the dominant wine in the blend (even up to being all in some places in some years). In blends, it is said to add aromatics, elegance and acidity—the acidity lending such blends the capability to improve with substantial bottle age. Besides the Rhône, Roussanne is planted in meaningful amounts in Australia, California, and Washington State (it is also grown in Italy, but is a lesser grape there), and is beginning to take hold in Texas as well. The quality of Roussanne wines in youth is intense aromas, typically of a floral character, but also of fruit and herbs. As the wine ages, an overtone of nuttiness appears (not an uncommon procession for ageworthy white wines). "Wines made from Roussanne are characterized by their intense aromatics which can include notes of herbal tea. In its youth it shows more floral, herbal and fruit notes, such as pear, which become more nutty as the wine ages. Roussanne from the Savoy region is marked by pepper and herbal notes." "In contrast to the challenge it presents in the vineyard, Roussanne is flexible and forgiving in the cellar. 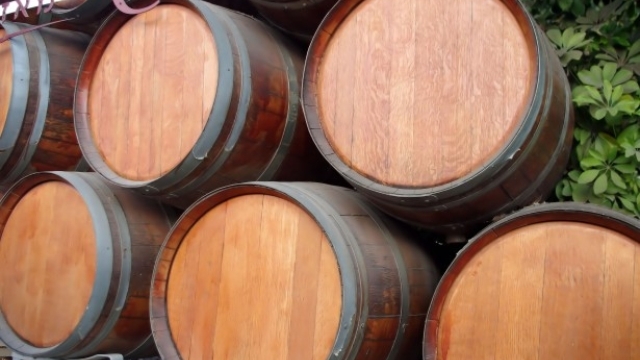 It can be successfully fermented in large or small oak, or in stainless steel. It can be harvested at hower sugars but still have good body, or can be left to greater ripeness without losing all its acidity. It has the body to take to new oak, or stainless steel can emphasize its minerality. And unlike most white wines, Roussanne ages very well due to its unusual combination of richness, minerality, and balancing acids; many Roussanne wines can be enjoyed up to 15 years or more after bottling. . . Wines made from Roussanne are rich and complex, with distinct honey, floral and apricot flavors. They have a characteristic oily texture and a full body that is more reminisicent of red wines than whites." "Roussanne, on its own, is characterized by herbal, tea-like, aromas. On the palate it typically shows pears and honey with notable intensity. The acidity can be high if picked under-ripe, but if left on the vine too long alcohol levels can breach 14% ABV." "By selecting and propogating only the least problematic clones, vintners preserved Roussanne for two primary reasons: unique aroma and bracing acidity. Roussanne can be thin and tart and is not often bottled on its own in Europe, more often being blended with Marsanne in the Rhône and with Chardonnay in other areas. Roussanne performs well using barrel fermentation and oak aging and some California winemakers release varietal bottlings. The aroma of Roussanne, not as overtly fruity as some types, can suggest stone fruits (nectarine, pear, peach), also wild flowers, herbs, or herbal tea. The flavor is sometimes described as nutty and some palates may detect a slight bitterness, giving an overall impression of perfume." "As Viognier is known for its floral, perfumed fragrance, so too is Roussanne, only the scents come off as quite a bit different. Roussanne’s floral scents are a bit wilder than Viognier’s, evoking wildflowers rather than acacia, gardenia, and jasmine, and there is an herbaceous quality to the aroma that is likely to invoke the smells of herbal tea. You might also get the aroma of pear, honey and sometimes more tropical and exotic scents like lychee, macadamia nut, and apricot. Roussannes are well-known for their unique and powerful aromas and are blended to other wines specifically to add fragrance, so make sure to stick your nose in the glass and enjoy the scents deeply before you take your first sip of a Roussanne. . . [M]ost Roussanne wines have a particular tart acidic kick to them that drops onto the palate at first sip. This acid punch can be a little too strong if the grapes were harvested too early, but its high acid is one of the reasons Roussanne is so favored as a blending grape – it gives thinner wines some much-needed backbone and structure and can extend the longevity of a wine dominated by other grapes (this is why Roussanne is such a perfect partner to shorter-lived Viognier and Marsanne, as well as other fleeting grapes). Apricot flavors similar to Viognier will be present in most Roussannes, as will a bit o’ honey-like sweetness (that’s a bit of sweetness like honey, not sweetness like a Bit O’ Honey; we would have put the picture up if it was the latter). You are also liable to get some pear flavors as well as more tropical citrus flavors such as mandarin orange and kiwi." "Roussanne is a late ripening variety that produces powerful white wines that offer pungent perfume featuring scents of fresh flowers, peaches, herbs, pears, spice, roasted nuts and hints of pepper. Wines produced from Roussanne are best enjoyed either within the first few years of bottling or 15 to 20 years after bottling. During the in-between period the wines are closed down and their flavors and aromatics are difficult to find." "With inconsistent yields, poor resistance to winds, and its susceptibility to powdery mildew and rot, Roussanne had almost disappeared from the northern Rhône until superior clones were developed. Now, it is only one of two vine varieties permitted in the white versions of the northern Rhône’s red wine appellations. 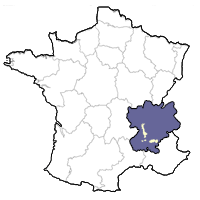 In the southern Rhône, it is only one of four grape varieties permitted in white Châteauneuf-du-Pape. Roussanne’s main asset is its distinctive aroma, along with an acidity which helps it to age better than its partner Marsanne. Roussanne tends to ripen late and can benefit from oak ageing." "Good examples of Roussanne wines as stand-alone varietals are elegant, complex, displaying good acidic balance. The characteristic flavors are those of melon, pears, sweet white fruit, tree blossoms and herbs. Roussanne wines are not as fruity as other white wines. The aroma of Roussanne suggests a flowery herbal tea. As such wines age, they may also develop the flavors of honey, coffee, and almonds. However, Roussanne is not often bottled as a stand-alone varietal in Europe, as on its own it can sometimes be rather tart and not very rich. " "In France, Roussanne is usually blended with Marsanne and vinified as either a still or sparkling wine. The flavor descriptors include floral, honey, apricot, and sometimes mineral, steel, or lean, which are devoid of fruit or yeast flavors. Roussanne has good acidity, good tannic structure, and a strong floral component when carefully vinified. Wines are generally fermented in stainless steel tanks, and are often bottled directly without barrel contact. Other producers age the wine for limited time in new oak barrels. 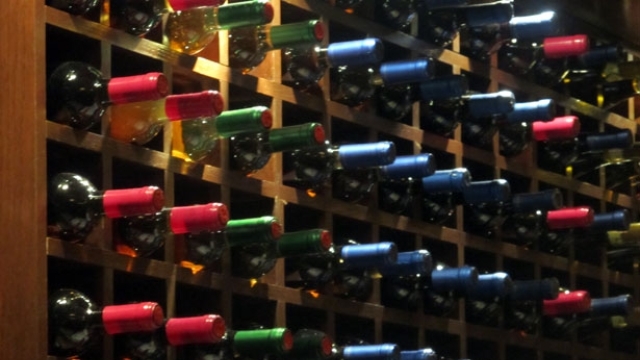 Wines are usually consumed while young (less than 4 years old). Roussanne is fresh and lively compared to Marsanne, which tends to oxidize more easily. Carefully made Roussanne with good acidity can also age well. Roussanne is also blended sometimes with Syrah in the northern Rhône Valley to soften the tannins and intensity of those frequently powerful red wines." "Smooth, fruity, nutty taste. Earthy and lemony notes as well. Used to blend often. Holds up well with age." ♦ This is 100 percent roussanne from San Antonio--no, not Texas, but the new American Viticultural Area in California. This wine offers rich aromas of peach and dried apricot on the nose. Balance is the key in this yin and yang of wine, where ripe honeydew melon and peach flavors meld perfectly with the tart citrus and green apple. An enchanting take on the grape. ♦ The grapes in this wine are sourced from vineyards located in a high mountain valley within the Southern portion of the Santa Lucia Mountain Range. There the grapes have enjoyed a season of warm days and cool nights before being hand-harvested and whole-cluster pressed. The wine spent 8 months in neutral French oak barrels prior to being released. This allowed the blend to come together without imparting any significant oak flavors. Roussanne is altogether different and hard to describe. It has the body of a typical rich Californian Chardonnay, but displays no butter or toasty oak. The fruit flavors are herbal and tropical and the wine finishes long. If you have never had a Roussanne this is a great introduction. ♦ A freshly mango and peach scented wine. Straw-colored with a full body reminiscent of chardonnay and has a certain creaminess that would be good with garlicky food. ♦ A fresh, slightly dry Roussanne exuding apricot, honey and baked pear aromas, which give way to a palate showing nice minerality and crisp acidity. ♦ Among the wines made at the latter property is the tremendously refreshing and downright pretty Chateau du Trignon Roussanne 2009, Côtes du Rhône. Made completely from roussanne grapes, this white wine is not exposed to oak, retaining all the liveliness and pert acidity that come from being fashioned in stainless steel tanks. Delicate aromas of peach, pear and apricot are woven with hints of jasmine and camellia, cloves and almonds. The wine is more emphatically ripe in the mouth, with flavors of spiced and macerated peaches and yellow plums highlighted by notes of lime peel, dried thyme and limestone-like minerality. It glides across the tongue with dreamy aplomb. The essence of a delicious and appealing spring and summer wine. Very Good+. ♦ This is what makes wine obsession worthwhile. A beauty, neither heavy or light, it lingers with the claims about Roussanne we love: honey, almonds, lavender and elegance. I store this with my collectibles. We’re finishing our second case. It gets better in the glass, tastier as the bottles evaporates. This hails from its native soil, the southern Rhone, near Gigondas. Typically one gets blends from France, because growers detest this grape; not because it’s hard to grow, but because it ripens so unevenly. I mean, who wants to go through all that effort for a $15 wine? Nothing under $20 tastes better. ♣ Wine Advocate (November 2013), 89 points. ♦ 2011 (2½ *): lime and nut airs, dried fruits, a smoky pear fruit. Attractive, squeezy, aromatic fruit led by apricot on the palate; builds up a gradual glow. It has a white fruit jam, pebbly grain late stage. 2010 (3 *): very pale. There is a bonny spread of fruit across the nose which shows some white jam and gras, a spot of opulence – this is a good example of Roussanne. The palate is stylish, travels well; there is fennel in its flavour, good bite, also licorice. There is more grip on the palate than the nose suggests. The finish is decisive, with discreet weight there, spice and herb notes. Versatile with food, cold meats, smoked fish, salads. 2009 (2½ *): white fruit, jam fruit aroma. The attack shows an evolution, with a compact run along the palate. It ends on smoke and vanilla, is on song now. ♦ This deep yet bright Roussanne comes from the Quiot family in France’s Cotes du Rhone. It’s young yet and will still develop over time (though it’s completely made in stainless steel, no oak). Fresh, full white flowers with touches of green grape and camellia. Pleasant indeed. ♦ Pale greenish-gold in the glass, this wine smells of melon and spiced baked apple. In the mouth it is juicy, bright and delicious, with apple and mineral flavors, and a spicy woodiness that is quite compelling. Great balance, excellent food wine. Score: between 9 and 9.5. ♦ This particular Roussanne is a delight of aromas. This wine transported me to the social hour potluck after congregation of a country Lutheran church because it smelled distinctly of my first Waldorf salad. All the ingredients seem to be present on the nose: apple, cream, walnut and of course, grapes. The minerality is quite intense though, so it is almost like someone spilled their salad on the sidewalk. The body is full with an oily viscosity balanced well with a fair amount of acid. The wine is dry and I would say a bit bitter on the finish which some may dislike but I find it pairs well with food and my disposition…It sees 20% new Hungarian oak and 8 months of age before release. The malolactic fermentation is arrested so the wine is a bright contrast to the viscous mouthfeel. ♦ Smooth and creamy with lush texture and ripe vanilla and aromatics; rich, balanced and juicy. 88 points. ♦ The Writer’s Block was fermented and aged for a minimum of eight months in oak, including Hungarian oak that gives spice and richness to the wine. This is an aromatic wine that tastes of apricots and pears with some herbal and mint flavors. ♦ Aromas of pears, peaches, and melons mingle with suggestions of white blossoms and baking spices on the nose. Flavors of peach, honeydew, and pear unfold into elements of spring flowers and Asian spice on the palate. A round and floral white…89 points. ♦ Using grapes from both sides of the Columbia, winemaker Jonathan Oberlander has crafted a flavorful and beautifully balanced wine that mingles quince, lime, citrus rind and a hint of herb. All stainless and no malolactic fermentation—just pure fruit and clean acids. 89 points. ♦ [J. Scott Cellars] gorgeous roussanne will leave you wondering how you’ve not previously discovered this splendid white grape varietal. An exotic wine with heavenly aromatics, try it and you’ll become hooked (don’t say I didn’t warn you). ♦ The Roussanne (a gold medal winner) is an incredible dry white with gentle aromatics and very easy to drink. ♦ Some fine [Rhone-style] whites: J. Scott Roussanne, any vintage, all excellent (about $18), floral without being flabby. ♦ Here’s a tasty winter white wine for you. Produced by Washington winemaker Mike Januik, this white Rhone grape varietal has quickly become one of my favorite. Add Januik’s winemaking touch and you’ve got a winner. . . At first whiff you could be inclined to think you’re about to try a chardonnay, but don’t let the nose or warm yellow color fool you. . . The finish at first left the impression of white grape juice, but the more I let it linger the more I noticed the sweet honeysuckle notes. I also tasted peaches and pear. . . What I like about this wine is it provides crisp citrus notes, but also a medium body that gives some weight to the wine. The wine is aged sur lie for 10 months (which means the discarded yeast cells during fermentation stay in the juice, giving it a rounded mouth) and barrel fermented in neutral French oak. Only a small number of cases were produced, meaning some good TLC went into making this wine. ♦ The nose is marked by mineral and floral notes. There is an almost spicy quality to both the nose and taste. The taste is smooth and opulent. Some oak shows through on the nose and mid-palate as the wine warms up a little. ♦ Vibrant and expressive with wild honeysuckle, juicy melon and fresh citrus aromas and flavors that linger across a lengthy, refreshing finish. From Novelty Hill’s family-owned vineyard. ♦ This bright yellow-gold Rhone varietal is from Novelty Hill's estate vineyard, Stillwater Creek, which is gaining notoriety [sic] for producing fruit with balanced acidity and loads of flavor. Fresh lime and banana cream pie flavors make this unique dry white a lovely aperitif or a good pairing with light foods. ♦ Broadly appealing flavors of melon, white peach and pineapple are round and full, supported with sweet, spicy barrel flavors. ♦ Very pale yellow color. Exceptionally complex floral nose with white nectarine, and on the palate, green gauge plums, green grapes (imagine that!) and pineapple are balanced by sweet cream. We opened a bottle on Sunday night when it showed well, and finished the last three inches last night when it showed even better. It's a quietly powerful, well-made wine that speaks to exactly what it is--it is most definitely not chardonnay or viognier or any other white grape, and you can taste every penny of its [price]. As such, it's unique within the pantheon of Washington white wines, and I just put in an order for six more bottles to tide us over the winter. ♦ Every bit as compelling as well-made Chardonnay, that Roussane remains under the radar to 98% of consumers means more accessibility for those in the know. As this example proves, this Northern Rhone white variety has the depth, character, and potential for seriousness which make it worthy of your attention. And thanks to its California provenance, Truchard's Roussanne possesses all the funk of its French cousins plus a strong, forward presence that makes it even more broadly appealing. Delicious and thought-provoking. I've been thinking about this wine since. ♦ Rich flavors of green apple, honeydew melon and lychee are balanced by sweet aromas of nectarine, pears and pineapple all brought together with a citrus-mineral acidity which makes for an unctuous yet clean bright palate. 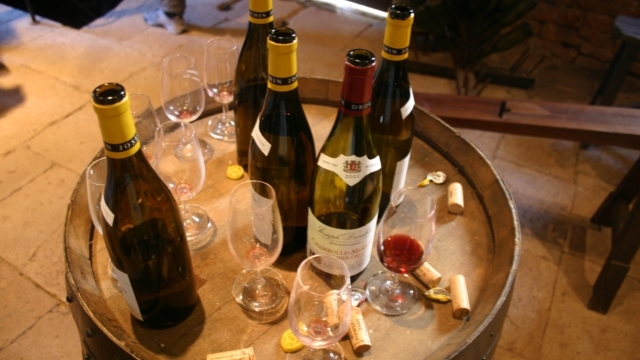 ♦ In the winery, Roussanne can become unbalanced if the alcohol levels and acidity aren’t kept in check. But if the stars align and the winemaker is vigilant, Roussanne produces a very aromatic and elegant wine. And that’s how I would describe the Truchard 2012 Roussanne. . . Thanks to a partial malolactic fermentation, the mouthfeel was creamy but not overpowering with ample acidity. Aromas of floral honeysuckle, cinnamon and baked goods were followed by flavors of white fruits, citrus and spice. The first bottle had a hint of quince and my wife said it burned her nose, however, I suspect that could have been a bit of reduction or an off flavor due to a slight amount of TCA from the first [slightly corked] sample. . . The second bottle of this same wine had no cork taint and had a more defined spicy complexity with fresher, more vibrant flavors. ♦ A bunch of people on Facebook asked me to talk to Anthony about the Roussanne, in my estimation Truchard’s most distinctive wine and certainly an unlikely player in Napa. . . To start, the wine was only for their [own] consumption, until the tasting room staff ran out of Chardonnay and in a genius move poured Roussanne instead. That move set off a wave of excitement and the winery now has a reputation for this amazing grape up and down Napa Valley. . . The wine was like pineapple, apricot, and honey ([the winemaker] said that even on the dry wine, sometimes grapes with botrytis get thrown in, giving a little honeyed note to it). On a second whiff, WOW! I got parsley, celery, and fresh garden herb smells. From the oak, there was a little sawed wood and baked cinnamon flavor too. Taste: Just as complex as the smell, but in a different way. Canteloupe, pineapple, and lemon cookie dominated at first but after I swallowed it was just like a Score or Heath bar without the chocolate — tons of toffee flavor. There was a touch of vanilla and popcorn too. I could sense the oak tannin a little bit in the wine — playing off the rich, waxy flavor (weird description, I know. Think wax lips from when you were little or when you put Chapstick on and a little gets in your mouth), was a tiny hit of bitterness. (BTW — I know all these descriptions sound ridiculous, but if you try this wine, I think you’ll get it immediately). . . This is a great wine. One of my favorite white wines out of California, by far. It’s got a ton of complexity — there’s so much to think about when you taste this wine. *Note: . . this wine has to be served a little warmer (not right out of the fridge) to taste amazing. Make sure it’s not ice cold . . Tastes totally different at a warmer temperature. ♦ This light yellow colored Roussanne opens with a honey and pear like bouquet with a hint of apple. On the palate, this wine is full bodied, ripe and shows some sweetness. The flavor profile is a honeyed pear with notes of apple and apricot. The finish is semi-dry and its flavors linger for quite a while. ♦ The nose was very light, sweet with honey, ripe pear, and cherry blossom. The nose, however, was a bit deceptive. The sweetness was noticed first on the tip of the tongue, but immediately overpowered by a wonderfully balanced crisp and slightly acidic finish. The lingering finish returned the ripe pear and honey, and also made the light effervescence noticeable. I don’t know if the effervescence was natural or added, but it was the perfect addition to the wine. . . and when the bottle was empty, I was left wishing for more. ♦ The Truchard Roussanne is a fairly dry wine. The nose is light apple, with a full bodied, well-balanced green apple and lemon on palate. It has good acid balanced with a little vanilla and a hint of butter butter, making it smooth but layered. It is something of a Chardonny or Sauvignon Blanc alternative. Both of us liked it a lot. ♦ This Roussanne is wonderfully aromatic, with lots of peach pit, honeysuckle, and pineapple. It’s exotic in the way that Viognier is. The palate carries forth all of those great fruit flavors, but is made more complex by the delicate smokiness, soft vanilla, and buttery notes. It is not bone dry, but the residual sugar is well-balanced by the lively acidity. The fairly high alcohol (14.1%), acidity, and slight sweetness make this a full-bodied wine. Very enjoyable! ♦ This Carneros is a medium gold in the glass has a pronounced tropical fruit and pineapple that smells "old world." Underneath the forward grangrances there is subtle peach. Palate--This wine has a sharp acidity, is off dry with solid tropical fruit flavors. Not a few people would suggest the Stolpman Vineyards "L'Avion" (but not the pricier "Single Barrel" bottling).